As of February 01, 2017, Daniel Steubing is the new Sales Representative responsible for the sales territory Hessen, Saarland, Rheinland Pfalz and Luxembourg. The 39 year-old native of Hessen takes over the position of Charlotte Franke. 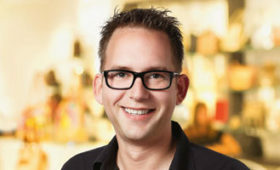 Daniel Steubing possesses outstanding knowledge of the branch and experience in the leather goods sector. He was formerly regional representative for Leonhard Heyden GmbH and for Fossil (Europe) GmbH. With Beheim International Brands he takes on responsibility for all four license collections: camel active bags, Gabor bags, TOM TAILOR bags and TOM TAILOR Denim bags. With Daniel Steubing the BIB sales team starts successfully in the new sales season a/w 2017.